Keeping track of how much weight you gain in pregnancy is important for your health and your baby's health. This is especially important if you were underweight or overweight at the start of your pregnancy. 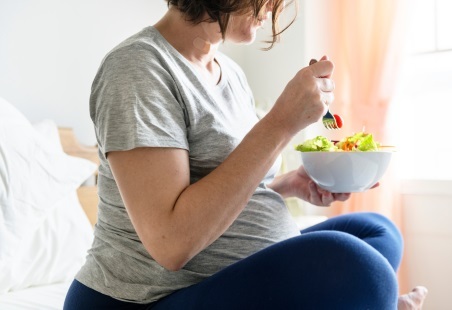 The hormones produced in pregnancy can make some women feel more hungry. So it's important to keep an eye on the size of the portions you're eating. It can also make it more difficult to get your weight back down after childbirth. The Healthy weight gain in pregnancy poster provides information about healthy levels of weight gain in pregnancy. Health professionals recommend that you keep track of your weight while you're pregnant. If you like, you can use the table in the Healthy weight gain in pregnancy record to do this. Your midwife or LMC may weigh you at intervals through your pregnancy or you may weigh yourself. If you have any concerns about your weight or nutrition, speak to your midwife, LMC or GP. If you meet certain criteria, your LMC may refer you to Green Prescription or to a healthy food and lifestyle education session. Christchurch Women’s Hospital dietitians run the education sessions.